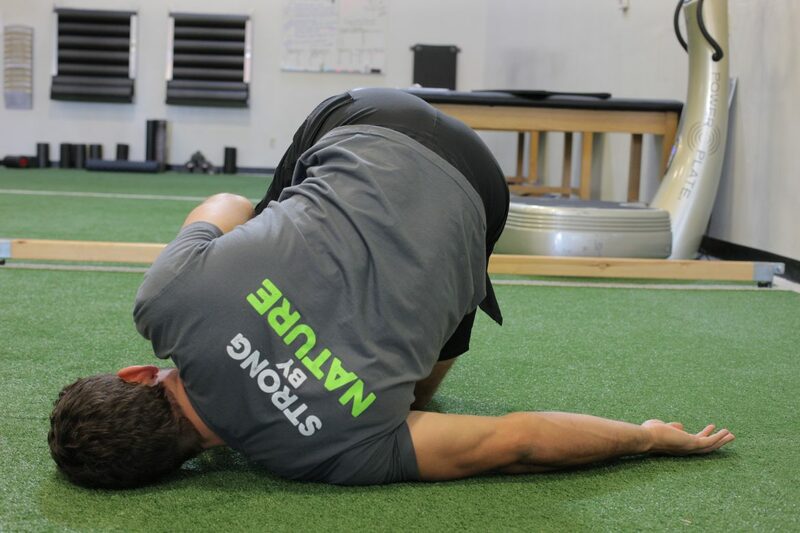 If you can sit in a chair for hours a day, but you can’t perform simple movements on the ground with similar ease, there’s a gap in your fitness, movement skills, and capability for real life. Your body, as adaptable as it is, wasn’t designed to sit in a chair all day long. It was designed to sit, move, and interact with the ground, and all kinds of good things start happening when you do. That’s why we tell our clients that you really can’t get enough ground movement into your daily life. It’s one of the go-to habits of our Team Instructors for a reason. Unfortunately, many people have become “chair-shaped,” which makes many ground positions and transitions difficult to perform. But in time, and with consistent practice, ground movements can become practically effortless. So, below, you’ll find some ground movements that are worth practicing, especially if they’re difficult for you. You can do these wherever you have some space on the ground. And if you practice them often, they’ll improve not only your ability to sit and move on the ground, but also your mobility, flexibility, and strength as well. The deep squat is difficult enough for most people. Add in a transition to kneeling, which must pass through the deep knee bend and flexed-foot kneeling positions, and it becomes even harder. But these two positions should be both effortless and pain-free to rest in. And once they are, they become usable as transition positions for many different Natural Movements. So, the key is that you first progressively practice to “own” each of these positions. Then link them together, first individually, and then all together. You can use your hands to assist you or even bolsters to help you work up to them, too. Rolling can be a lot of fun, and most people can perform basic rolls effectively (i.e. successfully). But very few people can perform rolls efficiently without proper instruction and practice. Regardless, changing our body’s orientation from sitting to prone via a backward roll should be effortless. Take care not to roll any of your weight onto your head or neck. Instead, turn the head away from the shoulder you’re rolling over and tuck your chin into your chest to protect your neck from injury. Also, be sure to breathe in a relaxed manner through your diaphragm, exhaling as your lungs compress during the roll. This movement serves as a helpful transition for getting up without using your hands, preparing for a Forward Roll, and several other movements. But most people have a hard time initiating the forward drive. So, focus on shifting your bodyweight forward (i.e. leading with your arms), driving through your legs (i.e. pull through the heel of the lead leg and press through the shin of the rear leg), and extending your hips as you “roll” over your planted shin. Soon, you’ll be able to perform this slowly, under control, and eventually while holding a load in your arms. This is a common transition in several crawling, balancing, and get up movements. It challenges and improves your vestibular system, stability, and core strength, among other things, especially when performed properly. A tell-tale sign that you’ve mastered this movement is that you can perform it slowly, under control. So, if you can’t, you’ve got your work cut out for you. Ideally, you should be able to pause and hold the position in any part of the range of motion. You can even have a partner cue you at unexpected intervals to test yourself. Once you can hold a deep squat comfortably, you can narrow your stance to increase the challenge. By narrowing your base of support, not only are the mobility/flexibility demands increased, it also increases the balancing component. Focus on relaxing into the position and breathing slowly into your diaphragm. If this movement is proving difficult, you can practice using your hands as assistance (e.g. hold onto something in front of you) or prop up your heels (e.g. on a rolled up towel or weight plate). You can also try squatting while on a slight hill (i.e. facing downhill). Want Some Help with Natural Movement Training? 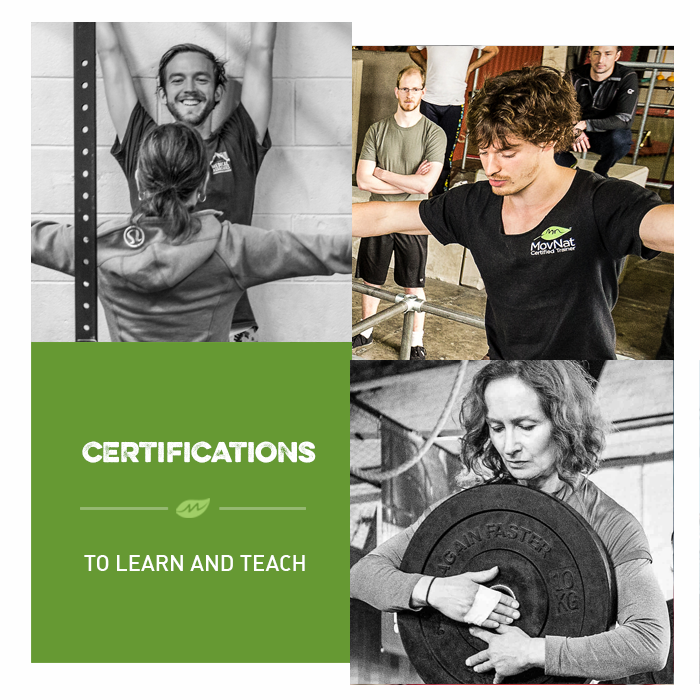 If you’d like to ramp up your movement skills, join us for a MovNat Level 1 Certification or a MovNat Workshop. We hold events all around the world. Or, find a MovNat Certified Trainer or Gym in your area. We also offer MovNat Online Coaching as an alternative to live instruction. Most people know that they should be more physically active. Some even recognize the incredible value in a system like MovNat. But they struggle with actually implementing natural movement into their daily lives. That’s why we work closely with people from all walks of life to help them move better, get healthier and stronger, and discover their true potential with natural movement fitness. It’s also why we work extensively with health and fitness professionals who understand the value of this new paradigm and are eager to start implementing it with their clients. So, if you’re ready to take your movement practice to the next level, this is your chance. Please join our community and check out an event near you soon. Kneeling: Can you do it comfortably and efficiently (like this)?